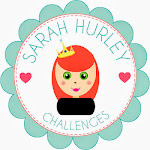 Sarah Hurley 365 (Formerly Sarah Hurley Challenges): Bookmark - what's a bookmark? 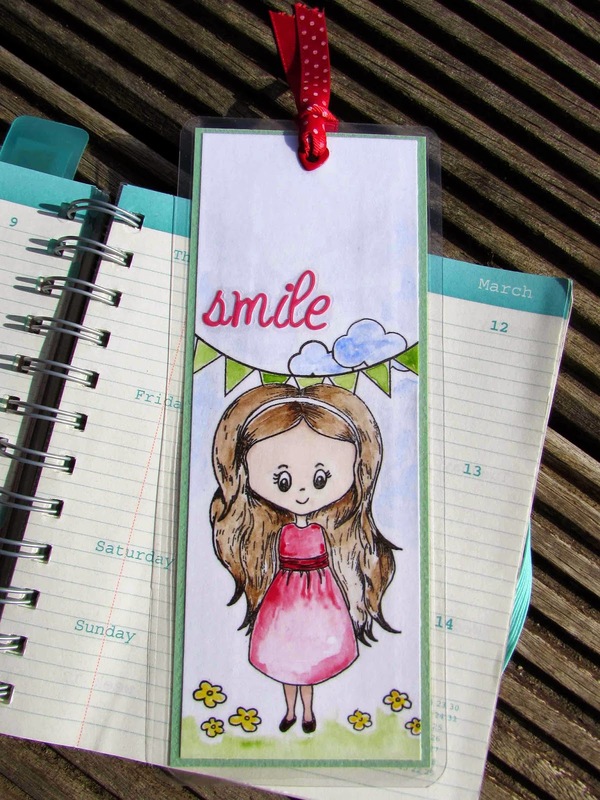 Bookmark - what's a bookmark? It sounds rather dramatic but soon these little things will become totally redundant. Bookmarks, that's what I'm referring to. As more and more of us read everything from books to the newspaper on our e-readers and tablets, the humble bookmard will become a thing of the past. Just think a whole new generation of people growing up having never used one. 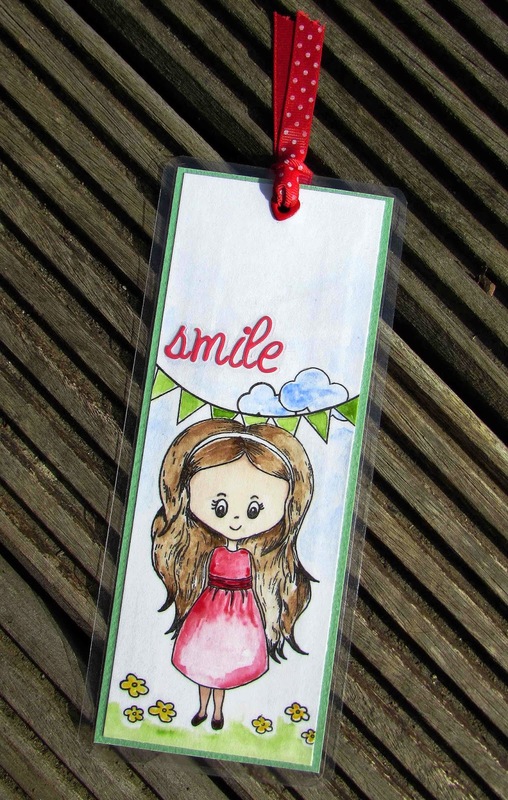 Well I want to put that right and as this new trend for filofaxes and agenda's is taking off, why not make book marks for them? 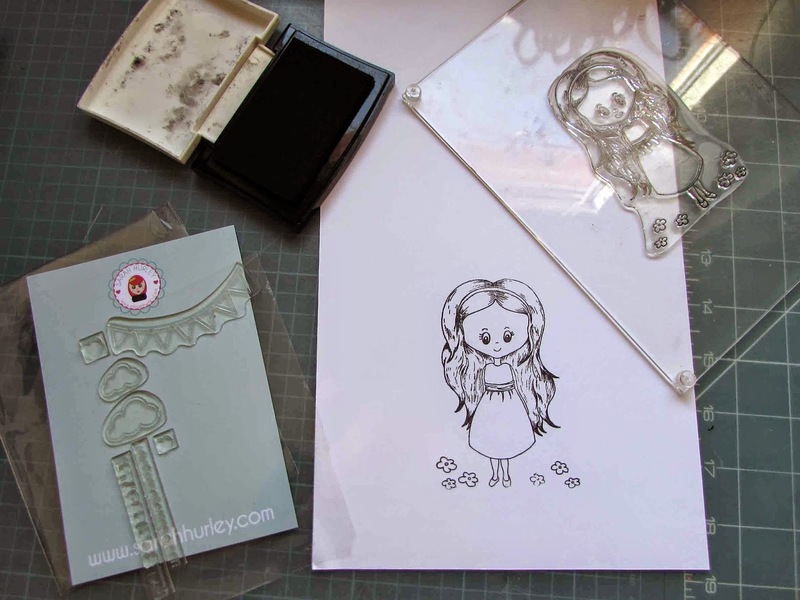 I stamped the girly from Charm Street Cuties Flower Girl stamp set onto watercolour card with a waterproof ink. 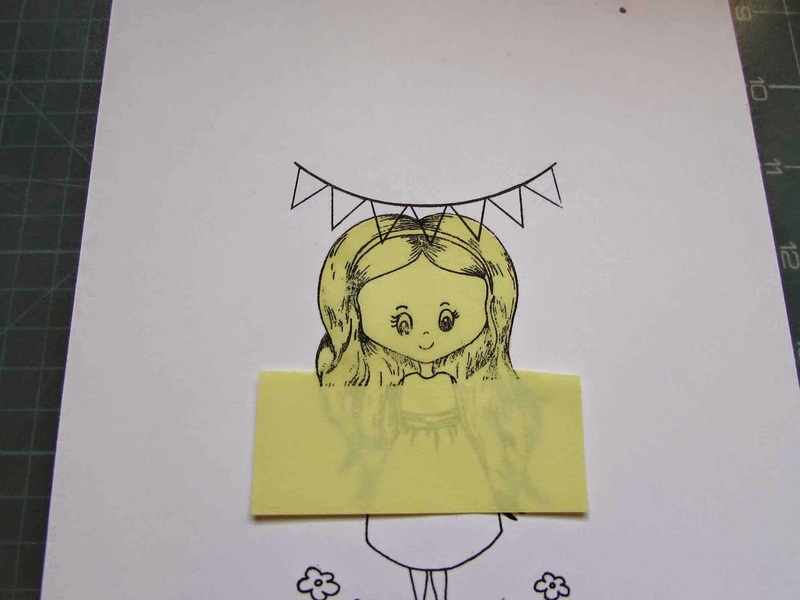 I stamped her a second time on a post-it note and just cut around the head so I could stamp the bunting behind her. 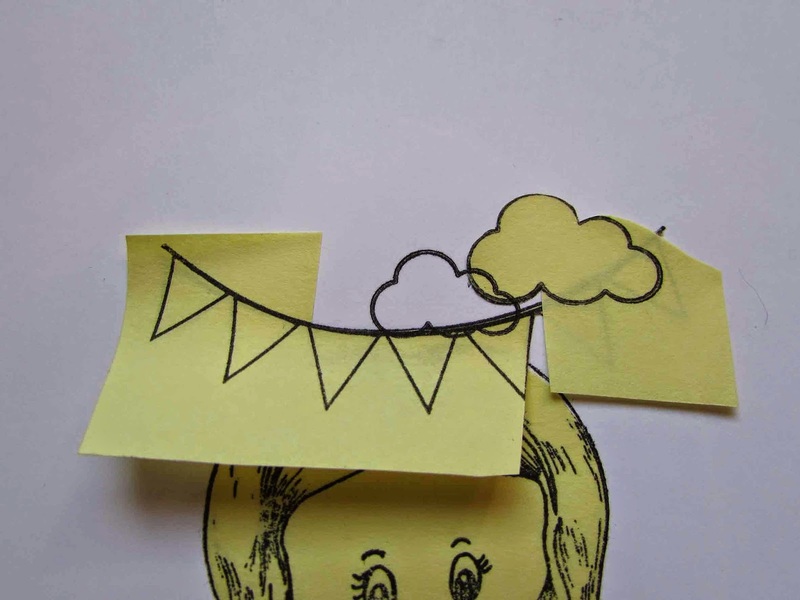 Not content to stop there, I stamped the bunting on a post-it and cut around the right hand end stamping the cloud. Then guess what? 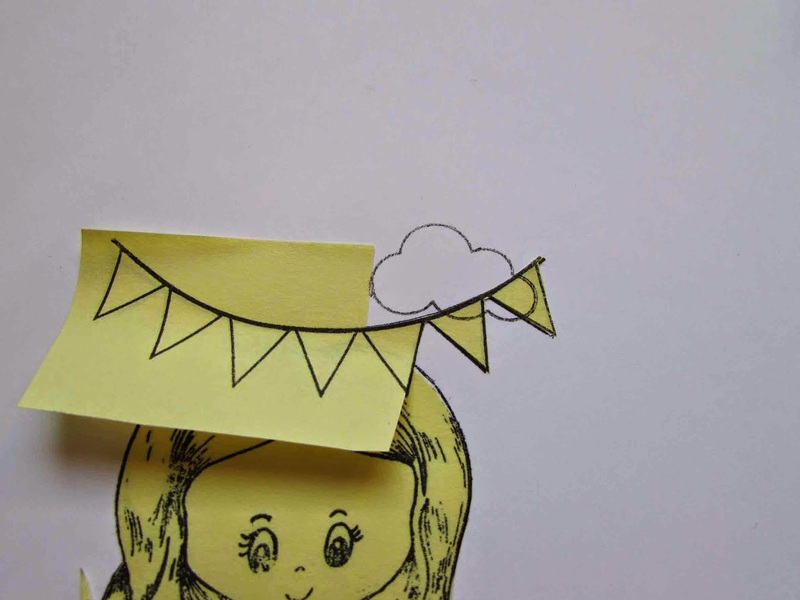 Yes I stamped that too on a post-it and masked it off so I could stamp a second cloud. 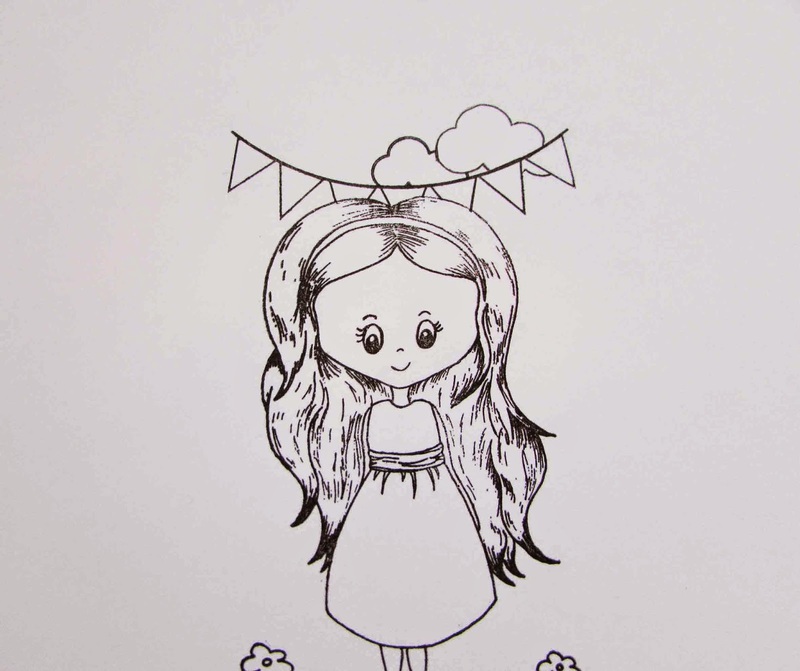 With all the masks taken away this is what she looked like. Now for the colour. 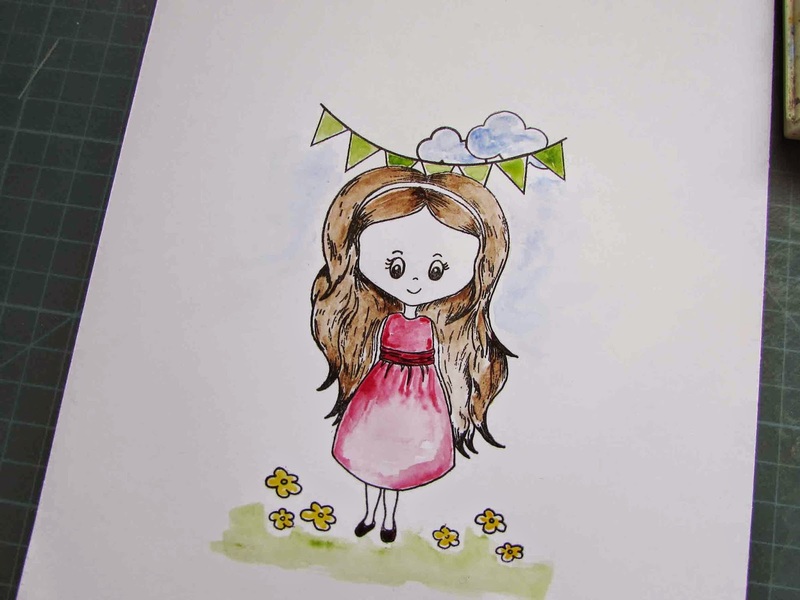 I chose to add watercolour paints to her just because I love the look so much. 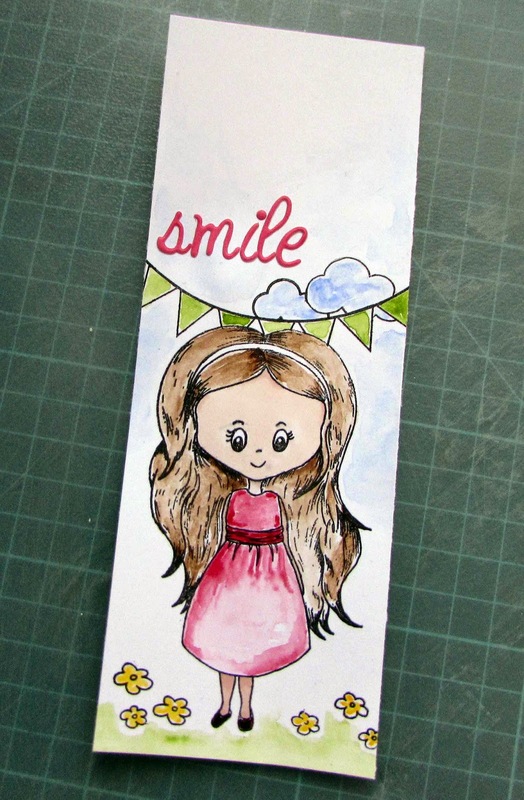 I trimmed it into a bookmark size and added the word Smile with alpha stickers. To finish off, I backed it with a piece of card to neaten the back and add a border then ran it through a laminating machine. I rounded the corners to make them a bit more friendly and less sharp and added a grommet and ribbon at the top. I love it in my agenda and it's guaranteed to make me smile each time I open my page.